Canadian Lawyer magazine has received 2 National Magazine Awards nominations under the "Professional Article" category. Luis Millan received a nomination for our April issue cover story on artificial intelligence. 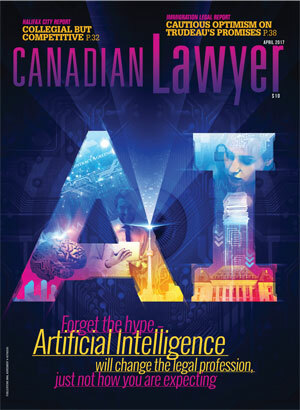 This feature article examined how AI will change the legal profession, just not how you are expecting. 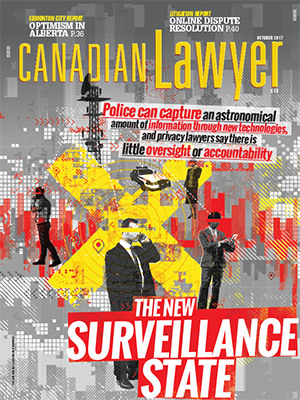 Shannon Kari received a nomination for our October issue cover story on the new surveillance state. This feature article examined how police can capture an astronomical amount of information through new technologies, and privacy lawyers say there is little oversight or accountability. Click here for a full list of the 2018 nominees.